It's flu season! No... I'm not excited, but I am preparing my card stash for it. 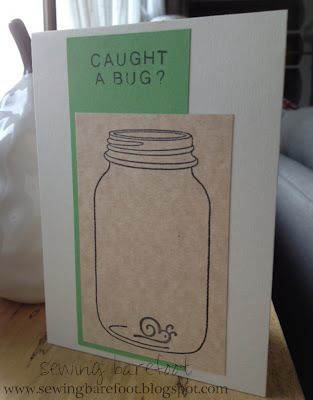 I saw this adorable "caught a bug" card on Pinterest the other day and I knew I had to recreate it for myself. 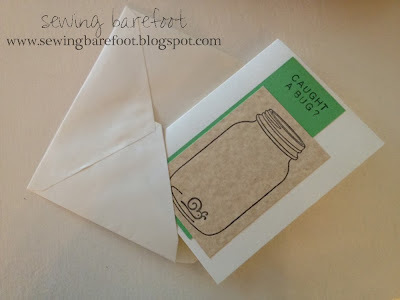 Since I have a decent stash of rubber stamps, this took me all of 5 minutes to create. I stamped a mason jar & bug on some card stock, layered it onto a bright green piece of card stock, stamped on "caught a bug?" and adhered it to a blank card. This could easily be recreated by sketching it by hand. 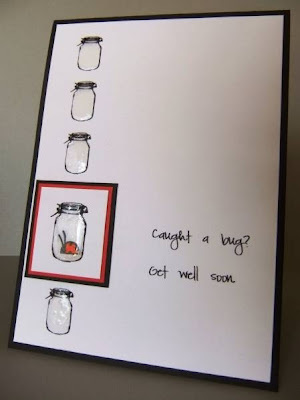 I now have a few "caught a bug" cards to add to my yearly card binder! I don't think it can get any cuter - I love this and will have to make some as well since the cold/flu season is coming up :) Thanks for sharing!